As a board member of the Vietnam Helicopter Museum, Joseph Sweeney brings a wide-ranging set of experiences, skills and invaluable local, regional and national connections which will contribute to the growth and prominence of this organization. Mr. Sweeney currently serves the Army as Civilian Aide to the Secretary of the Army (CASA) for Northern California. He was appointed May 10, 2011. He is the managing partner of American Executive Services. “AES” is a security consulting firm providing executive consulting services to a broad range of government and private entities within the greater Northern California area. He is married to the former Leslie Alyn Chandler of Riverside, California and they share five children and eight grandchildren. Mr. Sweeney served nearly 35 years in the Army and Army Reserve and retired as a Command Sergeant Major. His Army Reserve service included numerous key leadership positions such as first sergeant, operations’ sergeant major and served for more than 19 years as a Command Sergeant Major. He served tours of Army duty in Korea, Vietnam, the Berlin Brigade and at Fort Ord, California. He was the last command sergeant major at Oakland Army Base and the Military Traffic Management Command, Western Area. Prior to being appointed to his CASA position Mr. Sweeney served as an Advocate for the US Army Wounded Warrior Program. His military decorations include the Legion of Merit, Meritorious Service Medal with three Oak leaf clusters, the Purple Heart with two Oak leaf clusters, the Army Commendation Medal, the Vietnam Service Medal with four campaign stars, the Republic of Vietnam Cross of Gallantry with palm (individual award), and the Republic of Vietnam Campaign Medal. He is an active member of the Association of the United States Army (AUSA), Veterans of Foreign Wars, the Vietnam Veterans of Diablo Valley, the American Legion, the Navy League, the Exchange Club and the Marine Memorial Association. 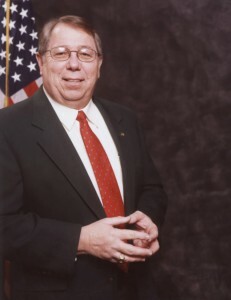 As an AUSA member, he has served as a chapter president, region president and a member of AUSA’s Counsel of Trustees. Among his civic activities and duties, Mr. Sweeney is a retired sergeant from the Oakland Police Department with more than 22 years of service. He serves on the Board of Directors for the Oakland Military Institute, is a member of the California Police Officers Research Association, the International Police Association and the Retired Oakland Police Officers’ Association. He holds a Bachelor of Arts degree from California State University, Hayward and a Master of Arts degree in Public Administration from John F. Kennedy University. He is a graduate of the US Army’s Sergeants Major Academy and the Naval War College.